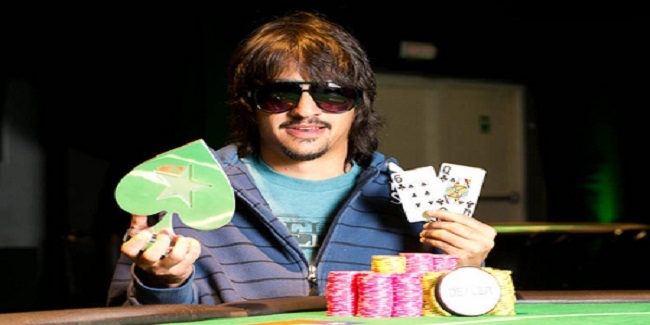 A pro poker player from arjentina Juan Pablo “Jpgossn” Gossn has won the Kickoff event of WCOOP 2016 and collected the first prize f amount $179,118. Canadian “WalmartCNXN” was the runner up and took home $172,316. The kickoff event of $109 buy in No Limit Hold’em attraced 16,416 player worldwide and generated a Prize pool of amount $1,641,600. Top 1,619 places of the game were paid out. It was 24 year old Argentinean who played well and stands alone at the end of the game to become the champion of the title. Seat#1, seat#2 and seat#3 were for “josip1313” from Croatia having 27,011,220 chip counts, “guibmac” from Brazil with 26,932,811 chips and “WalmartCNXN” from Canada, who had 20,200,289 chip counts. Seat34,seat#5 and seat#6 were for Juan Pablo “Jpgossn” Gossn from Argentina who had 19,161,864 chips, UK’s “RobocopAA” (17,440,320) and “Legadzo” (UK) – 15,614,232. Meanwhile “Mad_Dog_Er1c” (Canada) – 15,574,135 was at seat#7, “smithy kgb” (Australia) 13,213,994 was at seat#8 and “EkkoMid” (UK) – 9,011,135 was at seat#9. United kingdom’s “Legadzo” got bused to ninth place for $12,866, Australian “smithy kgb” collected $18,196, being eighth position holder and “RobocopAA” from UK made $25,733 from the tournament. “guibmac” was the next man who hit the rail and becomes sixth player of the list with total amount of winning share $36,391. Fifth, fourth and third position goes to Canadian “Mad_Dog_Er1c” ($51,465), UK’s EkkoMid made $72,783, whereas “josip1313” of Croatia made $102,930, in a hugh field size. The heads up was among Juan Pablo “Jpgossn” Gossn (Argentina) and WalmartCNXN” (Canada). 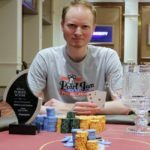 Jpgossn claimed his first WCOOP title and fifth for his home country and of course collected a good total of amount i.e. $179,118, playing against WalmartCNXN, who made $172,316.